It was enough to cause chaos among some zoo animals. Millions of Americans gazed in wonder at the cosmic spectacle, with the best seats along the so-called path of totality that raced 2,600 miles across the continent from Oregon to South Carolina. Several minor-league baseball teams – one of them, the Columbia Fireflies, outfitted for the day in glow-in-the-dark jerseys – briefly suspended play. At the White House, despite all the warnings from experts about the risk of eye damage, President Trump took off his eclipse glasses and looked directly at the sun. The path of totality, where the sun was 100 percent obscured by the moon, was just 60 to 70 miles wide. 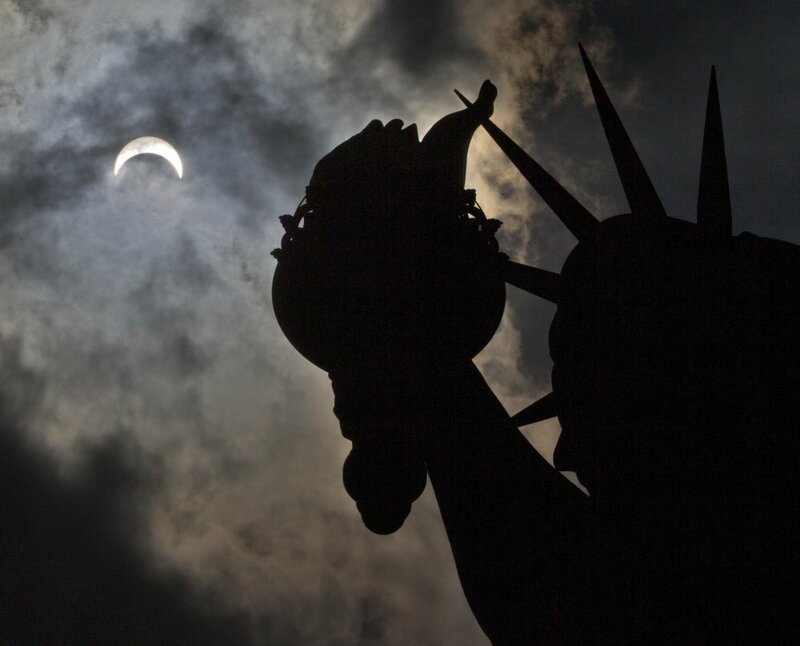 But the rest of North America was treated to a partial eclipse, as were Central America and the upper reaches of South America. “It can be religious. It makes you feel insignificant, like you’re just a speck in the whole scheme of things,” said veteran eclipse-watcher Mike O’Leary of San Diego, who set up his camera along with hundreds of other amateur astronomers in Casper, Wyoming. After the celestial spectacle, eclipse-watchers heading home in Tennessee and Wyoming spent hours stuck in traffic jams. In Kentucky, two women watching the eclipse while standing on a sidewalk were struck by a car, and one has died, authorities said.